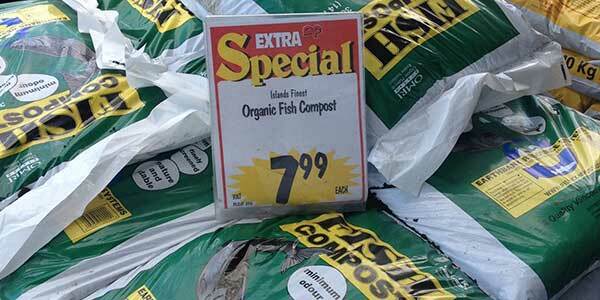 The vast majority of Earthbank’s Fish Compost is sold in bulk by the yard. 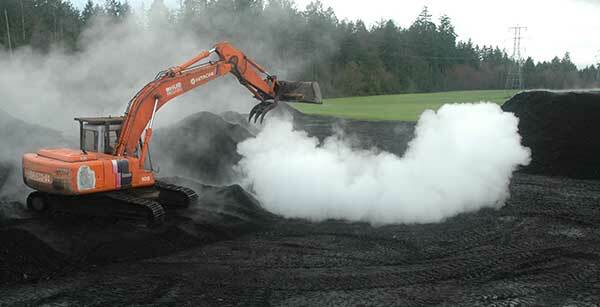 Most of the bulk compost is sold wholesale to outlets ranging from the Comox Valley to Victoria. Please see Where to Buy where our compost can be purchased. 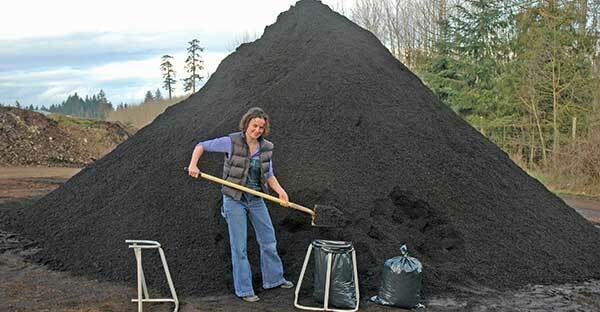 We have a bag your own service available at our composting site at 1424 Hodges Road near Parksville. We supply the bags, you supply the labour. These are 60 liter bags and can be quite heavy. We will assist you in lifting them into your vehicle if required. A 60L bag is $7 per bag. Please see Where to Buy for more information on times and directions. We also have a 30 liter commercial bag that is available at various locations in the Victoria, Nanaimo, Parksville and Comox Valley areas. Please see Where To BuyWhere to Buy for specific outlets.